This article is about the horrific terror attack in Christchurch. Before I start, I’d like to honour those that passed and praise the way New Zealand has handled one of the worst days of our living history. From our Prime Minister – Jacinda Ardern, leading with such humble passion, through to the victim’s family displaying grace and love amidst unimaginable horror. Out of every situation comes good, from the beautiful people that is the real New Zealand. Then actions put in place by our government banning semi and assault guns in New Zealand. Well done!! He said that was something that should be looked into, but Facebook hasn’t been willing to talk to him about his concerns. “I received an email from Facebook notifying me of a privacy breach, the storage of the passwords in plain text,” Mr Edwards said. “[There was] no mention in that of the incidents of the previous week, in which Facebook played a central role. “What we haven’t seen and what is of real disappointment to me, is any kind of acceptance of Facebook’s role, any sort of critical self-reflection, any contrition, or response. “I mean, here we are, 10 days after, and you can still live stream, presumably, the same event. 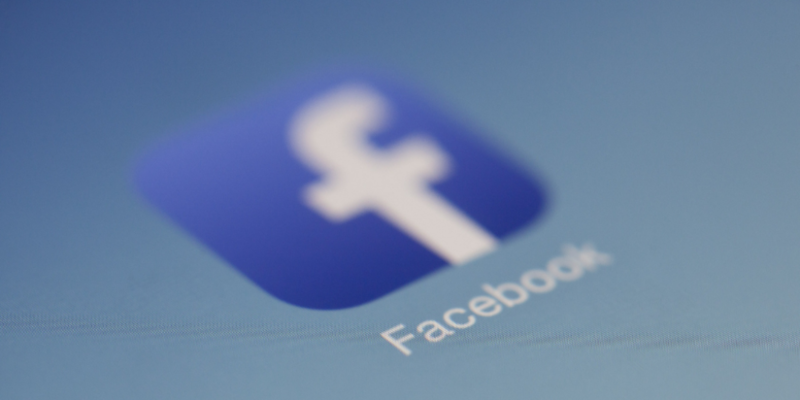 In an interview with RNZ on Thursday, Facebook spokesperson Simon Dilner said it could have done better, and it was prepared for regulatory action. It took the social media colossus 29 minutes to detect the live-streamed video of the massacre – eight minutes longer than it took police to arrest the gunman. Mr Edwards said Facebook was outside the powers of the government at the moment, but that may change as a result of the Christchurch attack. “I think accountability really is the key word here. Platforms have to be more accountable for the content and conduct they facilitate, than they’ve been willing to accept so far. “That I think is a change that is being demanded across the world. We’ve seen parliamentary reports from the UK in the wake of the Cambridge Analytica scandal, we’ve seen calls to account in a number of parts of the world. On this occasion, the bad far outweighs the good. The silver lining is hard to find. Here at SMNZ, we are champions of social media, we love the way that social has revolutionalised communication, sadly as it is powerful for good, it is also compelling for bad, history shows us, this, we just need to look at the US election and Russia’s use of social media advertising to influence people. From a brand point of view engaging on social media, we are always looking at the negatives, will this cause an issue, could this in any way be offensive, how could it go bad… Does Facebook think of this? Surely the same technology that audits our ads for word content, face detection and a mass of other AI tools can also be used to monitor general content? Or is it that it’s not a financial gain for Facebook so it doesn’t hit the product road map? Or is this a step too far in the world of freedom of speech? When you have nothing to hide, is it really a problem if Facebook is reviewing our live streams? In the situation of preventing the widespread sharing of the Christchurch attack or any other horrific event, I’m ok with it, monitor away! I am inspired to see brands in NZ re-looking at how their advertising, suspending their media spend in an attempt to draw attention to the negative impact Facebook has had on this event. Will this make Facebook stop and change, time will tell. Will the push to remove ‘fake news’ be extended to hate speech? I hope so. Will social media be change, I don’t know, but my use of it certainly has. If you’d like to donate and help those impacted by the Christchurch Attack, please visit the Trade Me page here. and half an old verse I never put on a track. It was years ago so i was more than likely high coming from my mind. You’re able tell by extended hair and “stop snitching’ shirt There we were wearing. I love those guys and no one will ever do that these again! Somehow I completely missed this movie when it was first released. It appears as though to have gone under the radar a great deal of viewers considering that the resulting was in theaters, but this September we’ll have our possibility to see it on Blu-ray. The basic premise of Just Wright proven fact that a big-time NBA basketball player meets an ordinary girl and physiotherapist unintentionally. When he is injured, she becomes his physiotherapist and gets him back in shape. Meanwhile, sparks fly between these. I am thrilled to see Queen Latifah in a rom-com and starring in this film. However it miss main-stream interest, but I’m prepared to bet until this movie’s worth shelling out a few bucks to Blockbuster for. The next SNL Video we saw was a phony remake from a popular morning show known as View. They called Jennifer Aniston. She spoke about how the democratic party involved in criminal activities 8 episodes ago. She mentioned the fact that a democratic threw a rock through a republicans window as a scare tactic. I watched patiently through this complete video waiting to see Saturday id test game live22 Giraffes. Still no such luck. They called Alec Baldwin around the show, which was Ben Affleck. Pacquiao is doing pretty good on free airline coast, but he’s still not done much within the East shoreline. Manny certainly has more accomplish in the ring of all time all said and done, but when he hangs over the gloves, he surely has a career in American Cable tv. I Ran by Flock of Seagulls. I at the rear of first time I heard this background score. I was hooked for on the a week, and ended up being in 2009. Can you imagine how the song felt back when it started locating a generous amount airtime on MTV in 1982? The was it featured on the commercial for Rockstar’s hit video game Grand Theft Auto: Vice City, this song helped spawn the music giant that was MTV. I have faith that was because MTV’s music video playing days are far lost. ‘Tis a sense of guilt. Toonces the Driving Cat – I have to admit I have wondered wherein the world the idea for this skit originated. Yet it has stayed one of my favorites over many years! BG: Life, love, rue? Hahahaah, no, I’m the guy that takes past experiences and brings about real. I talk about shitting on unworthy rappers mostly. I have been told I’m able to tell quite good story too. You allow me the beat, and you are therefore always gonna get different things.